“It is the sun shining on the rain and the rain falling on the sunshine.” Francis Hodgson Burnett. I prefer not to write about a fragrance that I do not have at least 10mls of and in most cases a full bottle. I make an exception in the case of Hiram´s Dilettante as it is just so gorgeous. And I used up two whole samples, four full wearings and would like more. Hiram Green informs us “Dilettante is an enchanted and light-hearted celebration of summer” but it would have healing power in the dark and cold long days winter. “Based on a triptych of orange flower, petitgrain and essential oil of orange” Dilettante springs into life sharp, sweet and bitter. Succulent and mouthwatering, exuberant and effervescent. Unhurriedly it winds its way into a floral waxy orange blossom, sweet and delicious to the senses. The muskiness in the base combined with the bitterness of the petitgrain is sultry on the skin. A very beautiful perfume. It is interesting to note that orange oils, and especially petitgrain are known to promote clarity of mind and to aid concentration. They balance the emotions, clearing off mental depression. Mouth watering from all this talk of orange, why not make a cake? 1. Line the bottom of the 9 x 4 inch loaf pan with baking paper and lightly grease the sides of the pan. 2. Cream the butter and the sugar well with an electric mixer. Add the eggs one at a time, beating after each one. Chuck in the sour cream (or whatever you use), the vanilla, zest and orange juice. Mix well. 3. Add the flour, baking powder, and salt mixture. Gently mix it in. 4. Spread the batter into the pan. Bake about 40 minutes. Grab a bike spoke if you have one handy, otherwise a toothpick will do. Insert it into the middle of the cake. If it comes out clean it´s done. Otherwise give it a couple of more minutes. 5. While it is baking, put the 1/2 cup of sugar and 4 tbsp of orange juice into a small pan. Cook it until the sugar has dissolved and then for another minutes or so. Take it off the heat and stand on the side. 6. When the cake is out of the oven let it cool for a few minutes. Remove from pan and set it on a rack. along the top. Brush or spoon the glaze over the warm cake. Leave to cool, or not! that cake looks freaking delicious!! Jin wants to make it. He is a wiz in the kitchen. Aren’t you clever! I love this post – what could beat the combination of perfume and a sweet treat? Thanks for the recipe! Love your review. I have yet to hear anything negative about Dilettante. I am adding a sample to my next sample order, but I suspect I will love it. Hiram Green is to me what Vero Kern is to you. Great post, Val. The scent of orange really does equal happiness for me. If I need a lift I turn to an orange blossom perfume. This sounds fab and what a cake to match it with! We’re all drooling now. Hi Tara. Yeah, orange is joy. Just peeling one and having the oils spray you is enough. I overdo Nutella too usually. I was trying to not sound like a total glutton. Thank you so much for the recipe!! It sounds so fresh and delicious. I fell so hard for Diletantte. I live in an area lush with orange trees, so I know the smell of the blossoms and leaves and trees when in bloom. This perfume is Exactly the way the orange tree smells in bloom!! Plus there is that great honeyed base that adds the perfect touch to this already delicious perfume. Whenever I put it on, I smile and take a very deep breath, of bliss. I love reading great reviews of one of my new favorite orange blossom perfumes. Rubj VdE is my next fave. Thanks for the review Val. Dilettante seems to have many fans and I’d love to try it. The cake must be delicious. I love orange/lemon cakes. The recipe is for two loaves, right? Neva! No!!! It’s for one. I just made two. One for each of my children. Hahaha. It doubles nicely. Wow Val, your description of Diletantte is fabulous, this is definitely a must try. We are just coming out of orange season but there are still a few trees around that are laden. I might do a fruit picking run on the weekend. Yummy sounding cake! Thank you for both the review & recipie. Hey Anna maria! Hi. I really hope some one makes this cake. It is so easy and so good. It has been a staple in our family for twenty years. Nothing flashy. Just utterly delicious. That is the next cake I make. I am a sucker for anything with lemon or orange in it. Plus it is clearly good for my mental health. Better than doing the crossword or playing Sudoku. 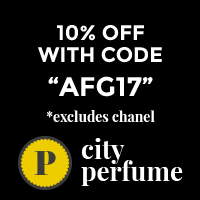 How does Dilettante compare to that Neroli one by Fleurs d’Oranger in the chunky bottle? Is it more zingy due to the petitgrain perhaps? Making cake is always good for one´s mental health. You need to concentrate, but the rewards are great! Can´t compare the two fragrances really. The FdO is so deep and rich and tenacious. Hiram´s is much brighter, joyous. Forsooth.